Guy One moves to a new town, brings fandom from another municipality, stands out in a crowd. He makes friends with Guy Two who supports the local sports concern. Their sporting squardons are opposed to each other. Guy Two leaves for the American Midwest and takes his fandom to a place where he stands out. The sports groups of Guy One and Guy Two become division rivals again and the smack talk increases the DEFCON level. Teams make playoffs! Everyone’s happy! Guy One and Guy Two make a bet; loser flies the flag of the winner’s team for one month, and sends the winner a sampling of his locale’s native beverages. Fair. We all know what happened. 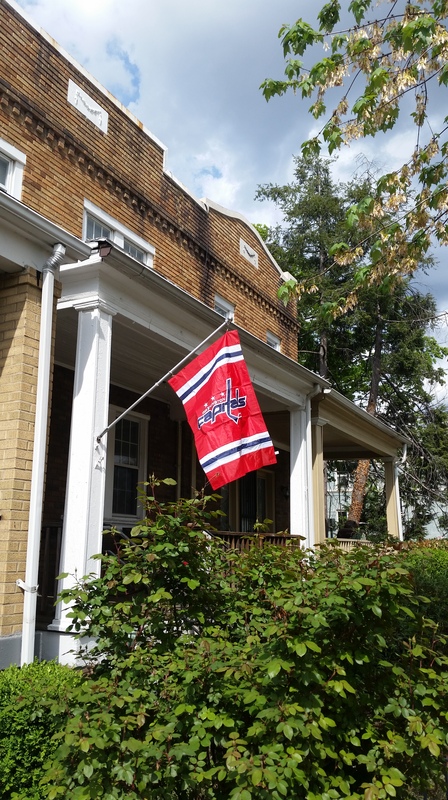 I have to fly a Capitals flag at my home now. Because I am a man of my word. The best part is that this isn’t a public embarrassment to me. Just a small, private hell that the masses may gloss over. 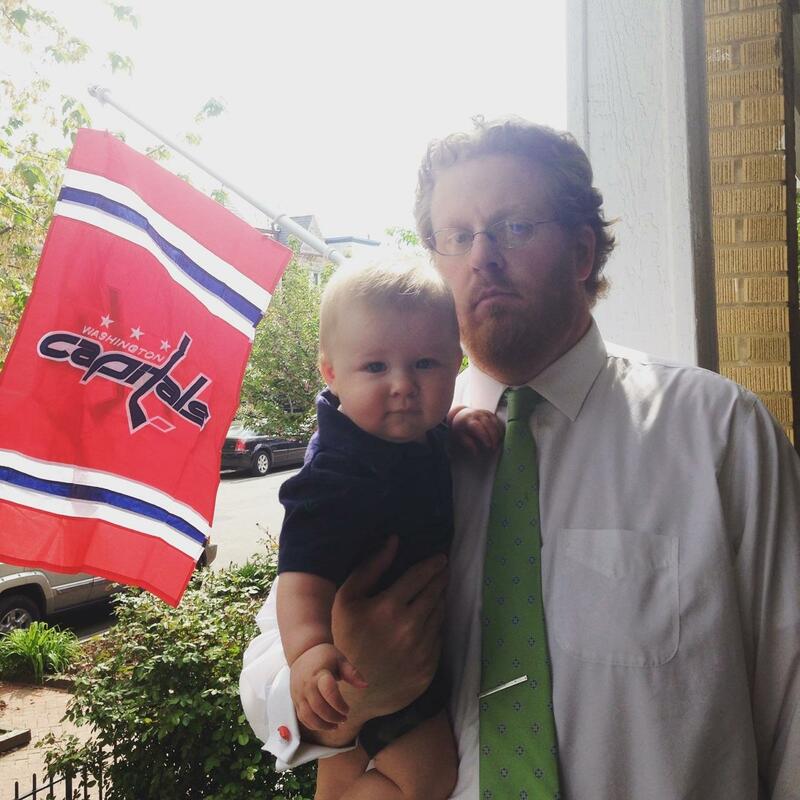 Here’s the kicker…I LIVE IN DC AND WILL BE FLYING A CAPS FLAG. THIS ISN’T EXACTLY A SCARLET LETTER. 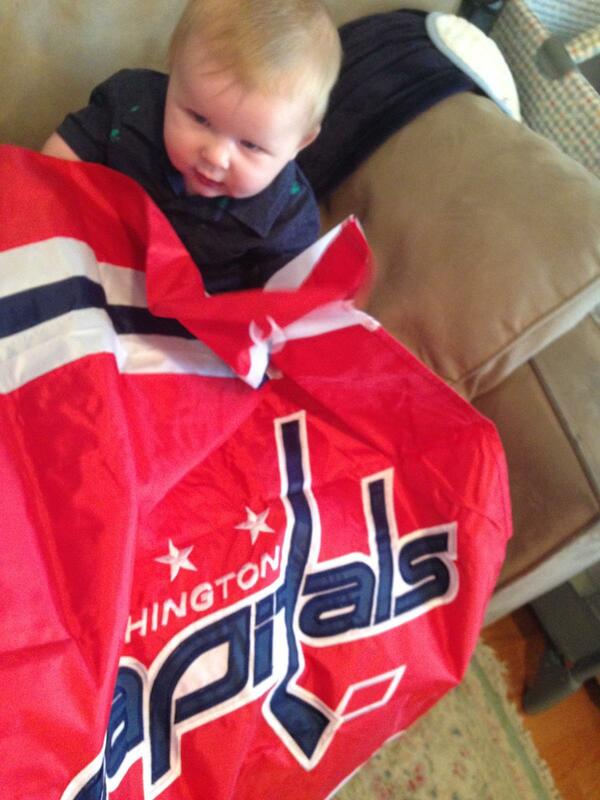 As painful as it is for me, this isn’t like flying a Flyers flag in Pittsburgh or a Red Sox banner in the Bronx. I have to blend in to my surroundings without outright harassment. Not the most well-thought bet. But here we are. Delightful. The package arrived yesterday. It is a medium-sized vertical red flag. Decorum prevents me from repeating the slogan childishly scribbled on the envelope. Amazingly it was only the second Klassy response to the end of the series I received from those around me. So, for the month of May, I uphold my end of the bet. My friend will also get two 6-packs of beer from the fine folks at Atlas Brew Works. Next time I make a bet with Guy Two, I’m naming his next child DiPietro. It’s only fair, and his idea. That’ll teach us. This entry was posted in Islanders, Stories, Washington Capitals and tagged banner, capitals, caps, flag, islanders, isles, lost bet, new york islanders, washington capitals. Bookmark the permalink.